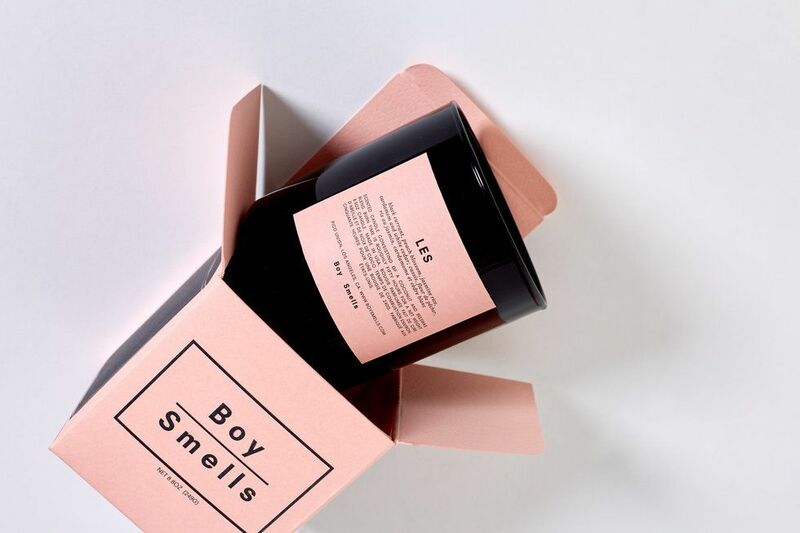 All Boy Smells candles are developed inside the co-founders' Los Angeles home, using natural products like coconut wax and beeswax. They're then hand-poured and hand-labeled, with glasswear the two intend to be reused once the candle burns down. Being so closely connected to their products, the scents are inevitably special, from pink peppercorn to juniper berry and palo santo. Their latest scent is called LES, named after the French language's plural article "les" that's used for both men and women. It's also a shortened version of "Lesbian," the co-founders note, and the acronym for New York City's Lower East Side neighborhood. Encased in a matt pink carton (their signature), the candle features notes of black currant, peach blossom, jasmine rice, cardamom and white cedar. PAPER caught up with David Kien and Matthew Herman to document the making of LES, and learn more about Boy Smells' newest release. LES is now available online at www.boysmells.com. Describe the process behind creating this new scent. How hands on are you in the development? With LES we wanted to make something that felt loud but also sophisticated. The Lower East Side seemed like a fun place to start; it's a beautiful onslaught to your senses. I love the mix of immigrant culture, bodega flowers, fruit stands, mixed amongst the highly finished restaurants and bars — so many types of people contributing to its vibrancy. It was that inclusiveness mixed with its maximalism that lead us down the path of mixing items such as peach blossom, Asian pear, rice powder, red delicious apple, and coconut with more sophisticated notes like America cedar, rose, bergamot, cardamom and oud. Overall, we spent about 3 months mixing and playing with it at our home studio, till it was perfect. "Inclusion of both gender values feels more dimensional and reflective of how people live and see themselves." 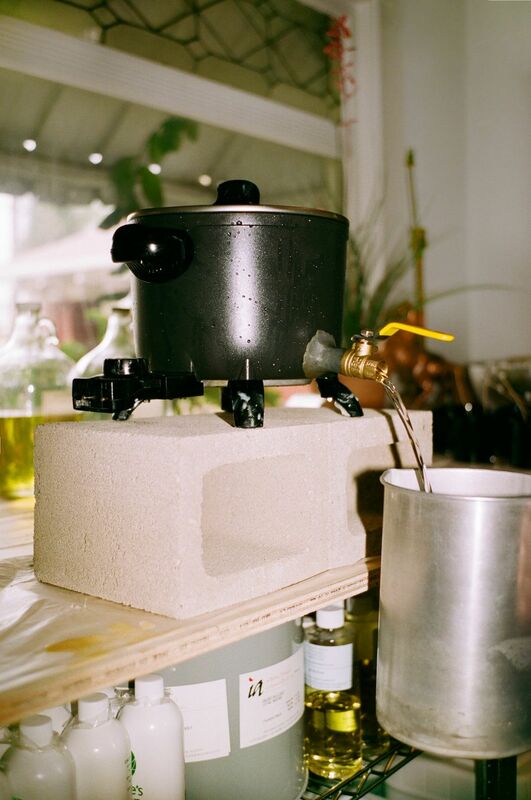 What does it really mean to "conceive scents beyond the gender binary"? We always mix together scent notes that society has labeled masculine or feminine. I love florals and most of my girlfriends wear Tom Ford colognes, so the idea of scent being assigned to gender seems antiquated. Inclusion of both gender values feels more dimensional and reflective of how people live and see themselves. How does this new scent reflect on the DNA of Boy Smells? LES' secondary and tertiary name-sakes are the french plural article "les" and the short hand abbreviation for lesbian. In French "les" is for both the feminine and masculine. And our packaging has always had a tongue and cheek queer undertone to it. LES more than anything we have done before reflects the humor and inclusiveness we celebrate.